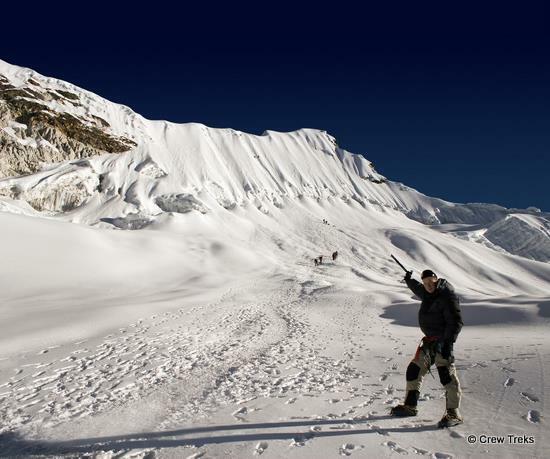 This climb is an option on our Everest BC Trek. This is a fantastic and convenient opportunity to scale a big peak at minimal effort, considering you're already acclimatized and in the neighborhood. Just off the main trail to Mt. 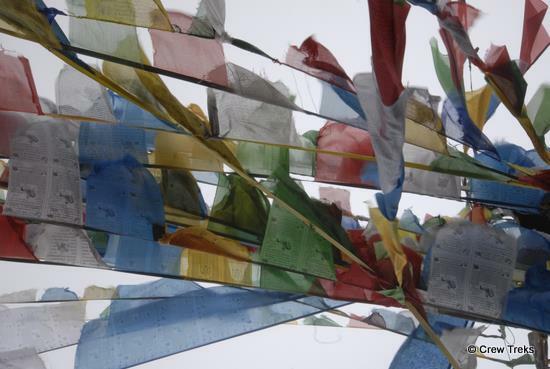 Everest lays this centrally-located 20,000er, generally considered one of the easiest trekking peaks in the region. Island Peak is as high as Mt McKinley, but a far easier summit. While the route requires knowledge of rope work and technical climbing techniques, it is suitable for climbers without significant previous ice and snow experience. Exposure to heights above 5,000m would be ideal, but not mandatory. The route is mostly low angle with a long section of 40-50° snow which is on a fixed line. 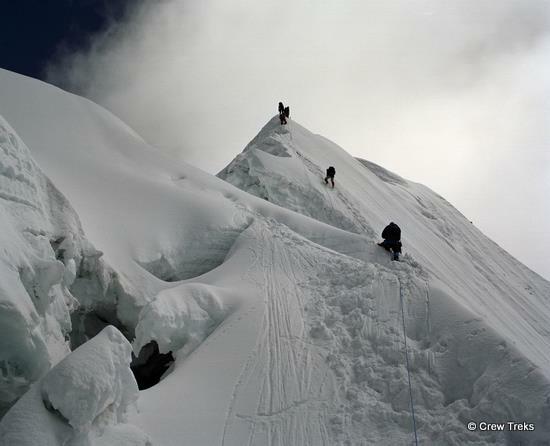 We then climb the summit ridge in roped teams and enjoy the exposed climbing to the summit! Prior to the climb on our rest days in Namche Bazaar and Dingboche we will review the skills required for climbing in rope teams and on fixed lines as well as review crampon and ice axe skills. Please call Marek with any questions. Disclaimer: This is just an outline for the trek. As always, mountain weather or inclement snow conditions play a role in day-to-day planning. Our main objective is to reach Mt Everest Base Camp/Summit Island Peak and we will tailor the trip to maximize that success. Sleep at guest houses/lodges along the trail. Eat breakfast and hike on average 4-6 hrs. a day. Since we will be staying at lodges, backpacks should be light! We will use porters to lighten the loads. Daytime temperatures should be in the 50’s and sunny, nights can get cold! As we move higher, temperatures will drop! Please Have Two Pictures and Change Readily Available! If you are just transiting, you do not need Indian Visa; you can stay at in transit area at New Delhi International Airport.